in Gotha in the wonderful Thuringia. 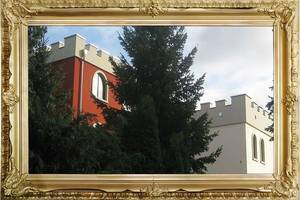 The Landhaus & Burg Hotel Romantik offers a most agreeable and romantic atmosphere for conferences, seminars, workshops, business events and celebrations. 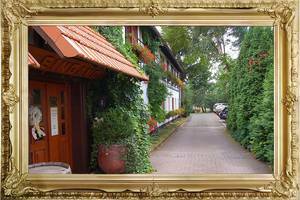 The Landhaus & Burg Hotel Romantik is your ideal location as it is situated in a quiet area with easy access to everything Gotha and the surrounding has to offer. And it provides the ideal overnight accommodation for leisure or business. Discover the residential city Gotha with the castle Friedenstein, an English landscape garden, The Ducal Museum, and the “The Baroque Universe”. The culture cities Erfurt, Weimar and Eisenach are not far away located. Experience the uniqueness of our hotel with lovingly crafted details in a romantically ambience. the "Landhaus Hotel Romantik" and the "Burg Hotel Romantik". Both guest houses are located in the middle of our 5000 m ² property in a quite area at the bottom of the conservation area Seeberg. It is not just holidaymakers and wellness guests who will feel very much at home here, but also conference and business guests who want to work here in peace. Here you will find our different packages.